Our Conditions of use, Evacuation procedures, Health & Safety Policy, Data Privacy Statement, and Room Charges for 2019 are contained in our Room Booking Pack. View of the front of Chelmsford Quaker Meeting House. 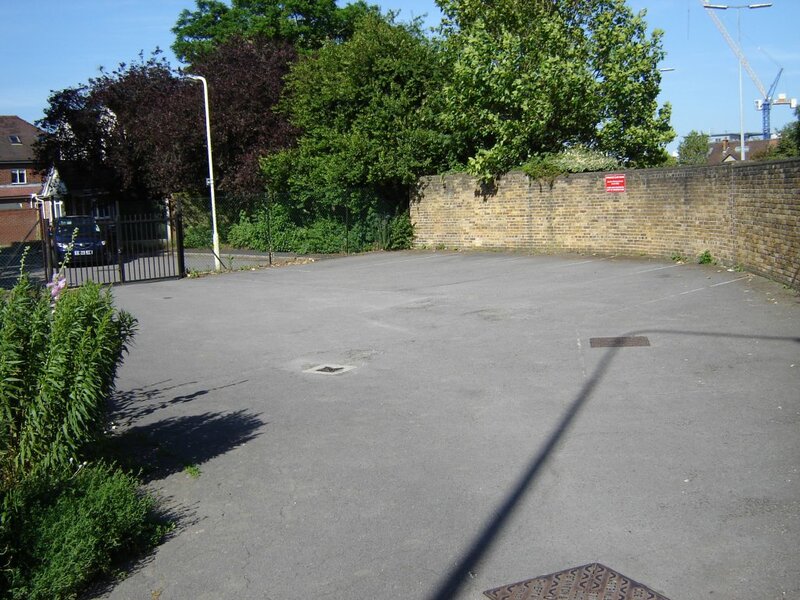 Front drive off Rainsford Road leads to a small car park at the side. Wheelchair access is via the rear garden and entrance. Rooms available for hire are the Hall and the Anne Knight Room. 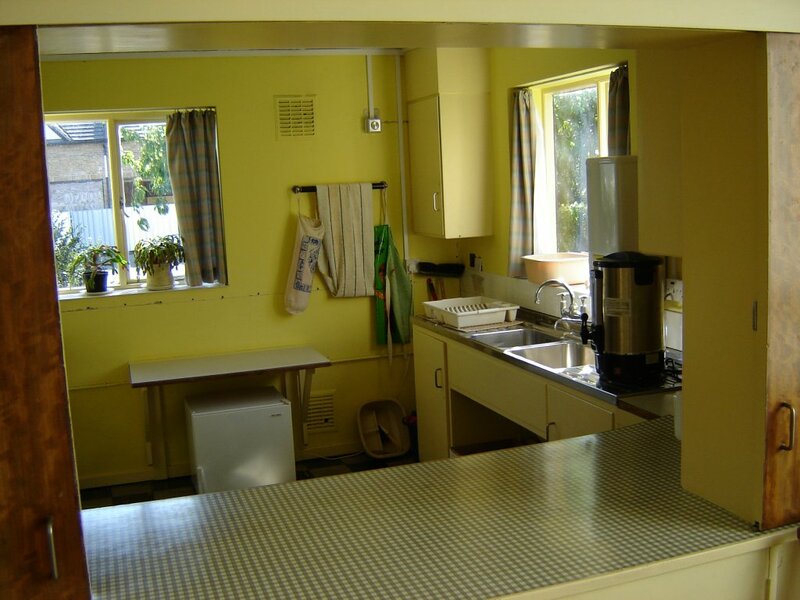 If refreshments are required, the Kitchen can also be booked, although this is not licenced for food preparation. 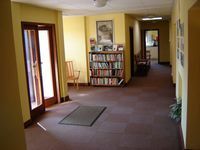 For larger events, the entire premises can be booked. If audio-visual facilities are required for an event, these must be provided by the hirer. 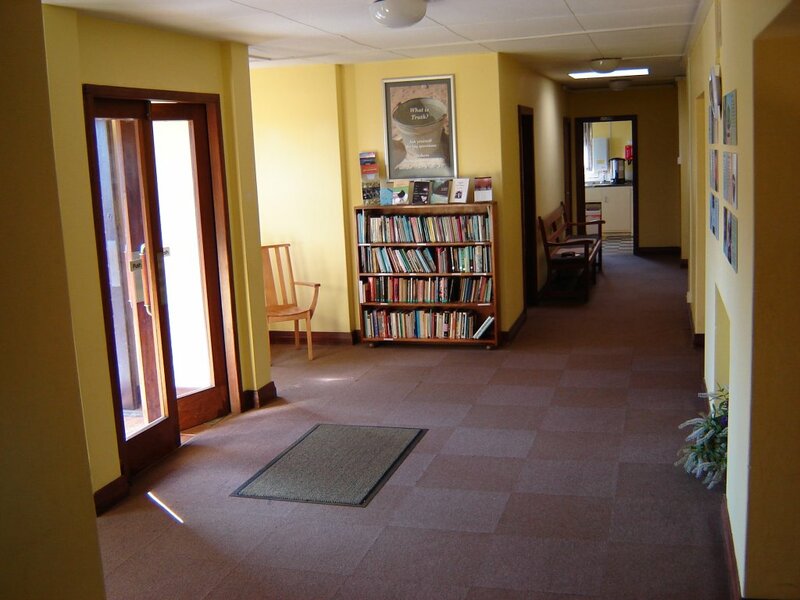 Entrance foyer of Meeting House, with front doors on the left, entrances to Hall on right, and kitchen and Anne Knight Room at the end. Foyer also has male and female toilets, the latter with baby changing facilities, and a separate toilet for the disabled. Back door (access from the carpark) is suitable for wheelchair access. Hall with sealed parquet floor, double doors to rear garden and four high-level windows for uniform lighting. 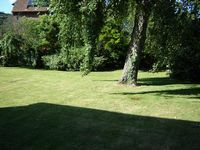 Approximate dimensions 8.8m square (28ft 10in). Can comfortably seat 60 people in cinema style. Sliding doors allow the use of an Annex to extend the Hall for larger gatherings. 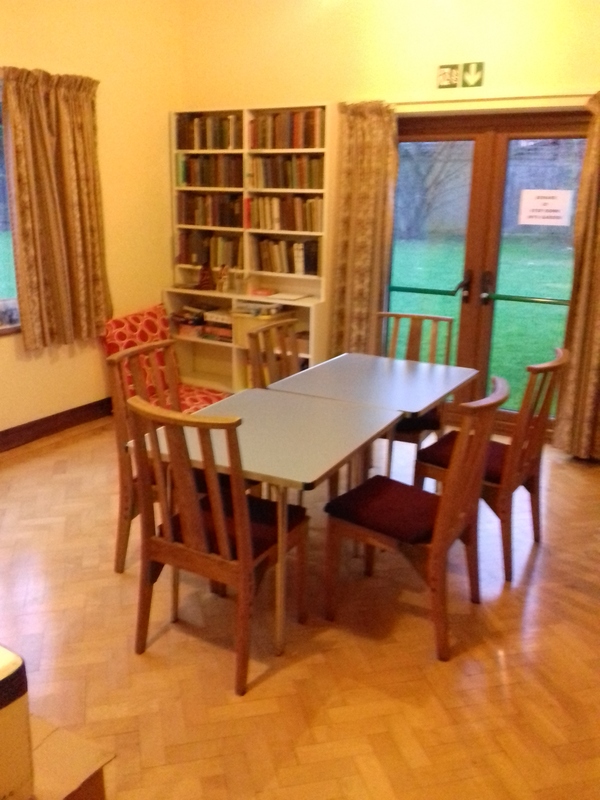 Anne Knight Room with sealed parquet floor and doors to garden. Approximate dimensions 4.5m by 4.5m (14ft 9in by 14ft 9in). Can be arranged as committee room (as shown), or in cinema style where 16 people can be seated in comfort. Kitchen with kettle and hot water boiler. Serving hatch to Anne Knight Room is shown. Cutlery and crockery is available. The kitchen is not licenced for food preparation. Car Park for the Meeting House is to the side, and can be accessed either from the front, off Rainsford Road, or the rear, off Cedar Avenue West. The rear access has double gates which are normally locked unless arrangements have been made with the Meeting House caretaker. There are spaces for 11 cars. 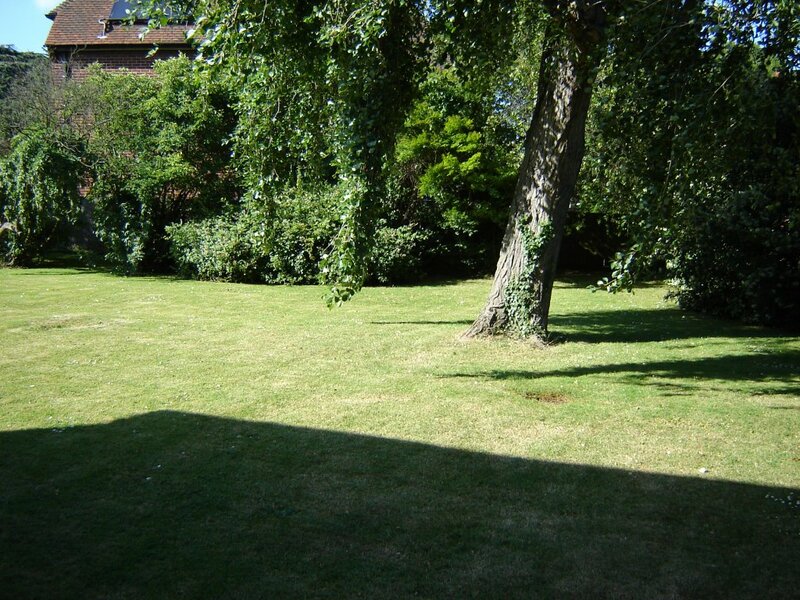 The rear garden is enclosed and has a locked gate which serves as the access for wheelchairs. 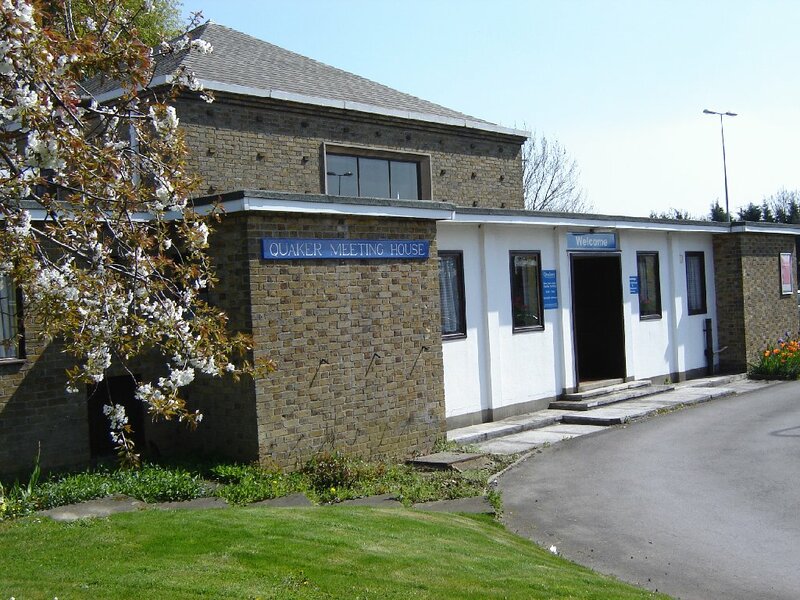 This web site has been created and is maintained by Chelmsford Quakers.